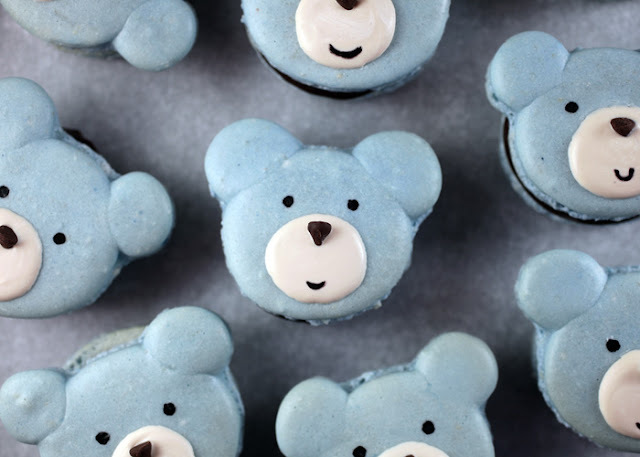 I don't know if it is their cute baby blue color or the fact that I am about to have a little boy, but these bear macarons scream baby shower treat to me. You could make them in pink for a girl or brown for a teddy bear picnic, although I am not sure a kindergarten class would appreciate the hard work that goes into a teddy bear macaron. We might need to stick to baby shower themes! You can check out how to make bear macarons over at Bakerella.